Readers of The Brew are accustomed to the roll call of EWOs, or extra work orders, approved by the Board of Estimates that can quietly add millions of dollars to municipal contracts. Equally pernicious are the time extensions routinely granted to contractors who fail to get civic projects finished on time. From the do-over of Roland Avenue (stretching over two years) to the now-suspended speed camera program, many of the worst infrastructure snafus originate from one shop – Baltimore’s Department of Transportation. A case in point is the DOT-supervised Greyhound bus terminal near Horseshoe Casino. The building, a 9,500-square-foot glass box with radiating bays, is now open to passengers waiting for buses. But the terminal site is hardly completed. Temporary building modules have yet to be dismantled. A stormwater pond, concrete work, exterior painting and roadway backfilling are also in a state of construction limbo, according to DOT. The contractor has already blown four construction deadlines and is 441 days behind schedule. So what’s city leadership to do in the face of such tardiness? 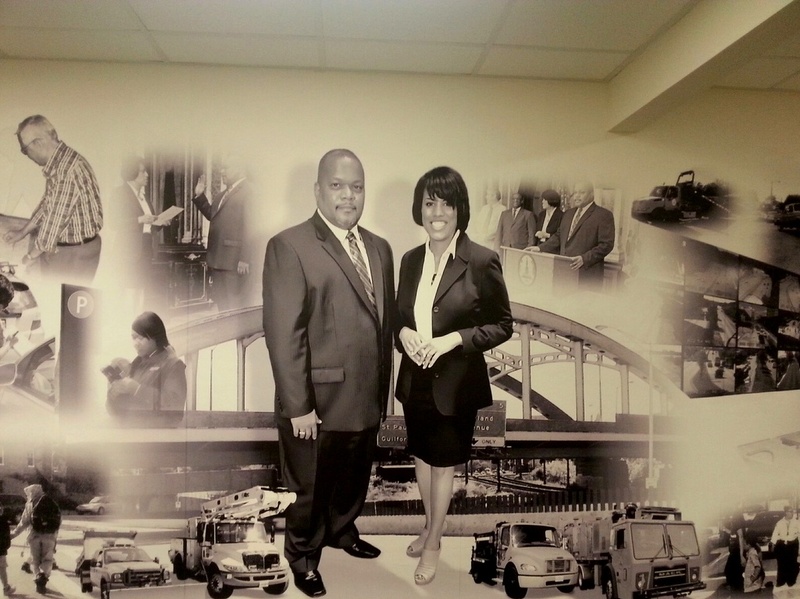 Mayor Catherine Pugh and the Board of Estimates today granted the contractor, a politically-connected former drywall installer named Kevin M. Johnson, another extension. Johnson’s firm, Commercial Interiors, now has another four months, to April 27, 2017, to get the work done without any financial penalties or liens. The cost overruns and year-plus delay may not reflect well on a mayor who has called on President-elect Donald Trump to make Baltimore a laboratory for bold, federally-funded infrastructure projects. 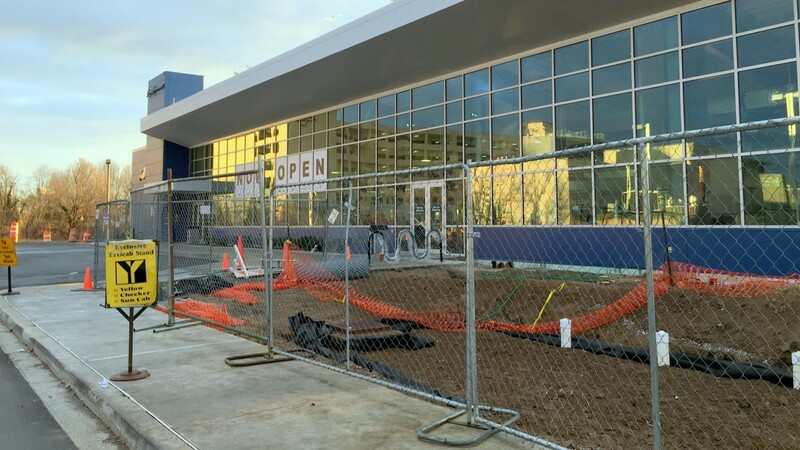 While not much harder to build than a suburban gas station, the Greyhound terminal project is a case study of a bureaucratic system that can’t get work done on a reasonable schedule. The project aims to fulfill the city’s promise of some 20 years ago to replace the Greyhound bus station on West Fayette Street, displaced when city planners re-imagined the area as a redeveloped “Superblock,” an elaborate retail-apartment complex that never did materialize. In 2012, U.S. Rep. Elijah Cummings secured $4 million in federal transit funds for the terminal, with Greyhound agreeing to fork over the rest. The building, to be constructed on Haines Street in South Baltimore next to a temporary structure, was set to open in the fall of 2013. But DOT got far behind in getting bid and other documents together. More than a year passed. After Roy Kirby & Sons was awarded the contract with the lowest bid, Kevin Johnson challenged the process. The Maryland Department of Transportation (under secretary James T. Smith Jr., who is now Pugh’s chief transportation advisor) stepped in. The agency ruled that a HVAC subcontractor put forward by Kirby was not certified under the state’s Disadvantaged Business Enterprise program. Baltimore DOT could have recommended that Kirby be given a 10-day grace period to find another subcontractor. Instead, it tossed out all of the bids and started over. Kirby dropped out of the competition, and Commercial Interiors secured the contract for $6,694,743 – or $90,000 more than the original Kirby bid. All of this meant that construction didn’t start until November 2014. Work was set to finish a year later in November 2015. It didn’t happen. While the Board of Estimates was busy approving these time extensions, it was also OK’ing four cost overruns (EWOs) totaling $283,979. If past is precedent, there will be more EWOs submitted to the board over the next few months. Which raises a question that The Brew has posed before: How come cost overruns are regularly approved by the Board of Estimates, but contractors are next-to-never penalized for failing to bring in their projects on time? Mayor Pugh has entered office pledging to bring fiscal discipline and transparency to city government. In addition to her decision to dismiss Paul Graziano at Housing and Community Development, the mayor needs to focus attention on the director-less Transportation Department. So far, she launched a nationwide search for a new DOT director. Rawlings-Blake did the same thing, hiring a Florida-based consultant, William Johnson, who served for three years as DOT director before returning to Florida. One way for Pugh to get DOT back on track is to demand accountability from the bureaucratic minders who let city work slide. This means getting on DOT’s case for not fixing dangerously compromised bridges, such as the Harford Road crossing of Herring Run, unsnarling the roadways of southeast Baltimore, deciding once and for all whether to two-way St. Paul and Calvert streets, and getting costs under control at the Charm City Circulator. With existing programs and projects running smoothly, Pugh and her transportation guru, Jim Smith, could then reasonably approach Trump for help in financing the big-bucks infrastructure challenges that face Baltimore.